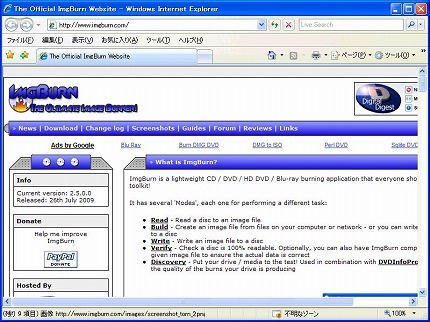 ImgBurn is intended to replace DVD Decrypter for burning disc images. Would you like to remove the old ‘Burn using DVD Decrypter’ entries on Explorer’s context menus? Would you like to keep your existing settings? Because you’re upgrading from v2.4.4.0, some of ImgBurn’s settings have had to be reset. If you had changed any of the settings, you may need to do it again. I have detected a problem with translation you’re currently using! 1. The ComboBox’s ‘Items’ list should have 4 entries but it only has 3. So basically, this translation needs updating/fixing!